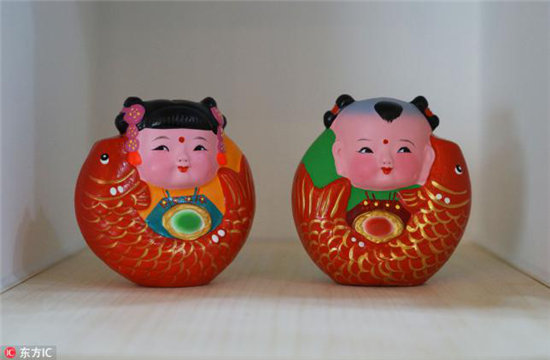 The painted Clay Figure Zhang is a kind of folk artwork from the Han dynasty that is deeply loved by the people. It has spanned a growth of 180 years, passing down till being recognized worldwide. Vivid images and rich colors make it extremely popular. The painted Clay Figure Zhang enjoys a wide range of themes from local customs, folk tales, stage theatres, to classical literature masterpieces like All Men Are Brothers, A Dream of Red Mansions and The Romance of the Three Kingdoms, etc. The painted sculptures are not only similar in appearance, but also lifelike with their vivid forms, giving attention to both shape and spirit. With bright and graceful colors as well as high quality materials, the clay figures can endure a long time without desiccation or ruptures, gaining international reputation with their vivid images. It is usually displayed indoors, due to its small size (usually 40 cm in height). Therefore, it is also called shelf sculptures. The painted clay figure is an art form covering a vast scope for decorations on various occasions and has an important role in serving the society and beautifying the environment. 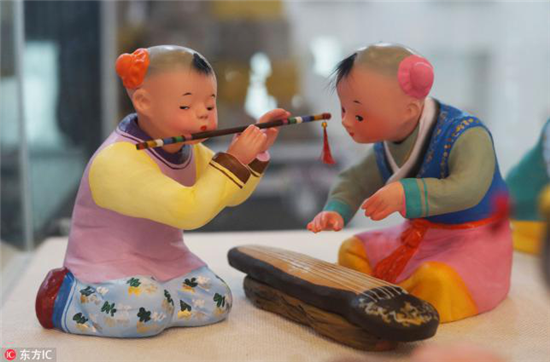 The origin of the name, "Clay Figure Zhang", created in the late Qing Dynasty, is a folk painted art spreading in the North. Zhang Mingshan, the founder was born into a poor family in Tianjin. He grew up with his father who supported his family with clay figures. 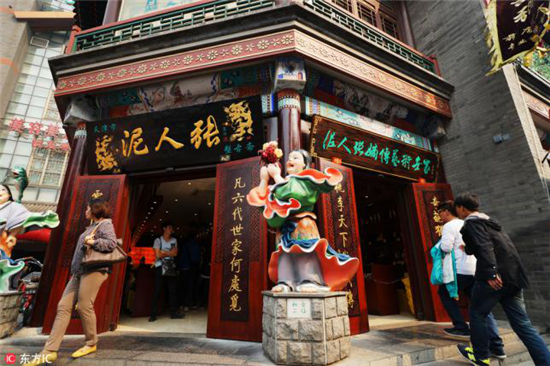 Ingenious and filled with imagination, Zhang often observed people from all walks of life in the market and various roles in the theatre, and then secretly kneaded clay figures in his sleeves. He became a legend when the figures he made turned to be lifelike. On the basis of traditional clay figure art, he took in nutrition from neighboring arts like painting, traditional Chinese opera, folk Spring Festival woodcut pictures, etc. After decades of efforts, he created more than 10,000 pieces of artworks in his lifetime. His unique art earned him worldwide reputation and household love from the common people who amiably nicknamed him "Clay Figure Zhang".